Present this coupon at the time of purchase and receive 15% off! 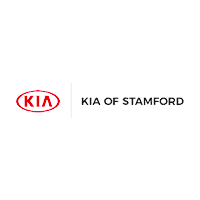 Valid at Kia of Stamford. Limit one coupon per customer. Cannot be combined with other offers. Must present coupon at time of write-up. Does not include installation. See dealer for full details. Present this coupon at the time of purchase and save the more you spend! $200 and get $20 Off! $300 and get $30 Off! $300 and get $40 Off! $500 and get $50 Off!